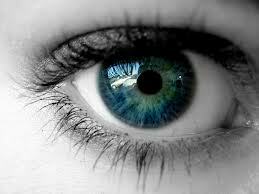 A human eye is the most delicate part of the body. It helps us to see the beautiful world. But is that the only world that we see? Well the answer is 'No'. Human eye has the capability to perceive the electro magnetic radiation which has wavelengths ranging from 400nm to 700nm. The Infrared Radiation(IR) has wavelength greater than 700nm. This means that a normal human cannot see IR. But I'll tell you how is it possible to see the Infrared Rays. Take any remote which uses IR to transmit data. Usually all the television remotes are based on IR. Take a mobile phone equipped with a camera. Launch the Camera app in the mobile phone and point the IR transmitter(usually on top of the remote) towards the camera. Press any button on the remote. Whoa! You just saw Infrared Radiation without any scientific equipment!